With such groundbreaking innovations and extensive research being carried out in the world of technology, it is no doubt to assume that super strong frameworks and tools were being conceptualized with the intention of achieving some super strong standards. Be it mobile application or web development, mobile application aspirants are left with no boundaries of any kind, as upcoming development trends totally give them a reason to conceptualize something new. As one of the top web application development company we at BrainMobi keep an eye out on all the latest trends in order to give the most updated solutions. 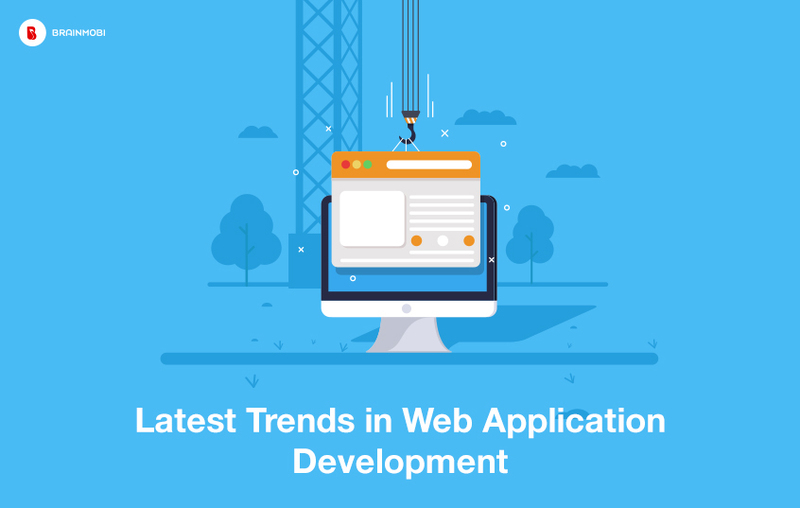 Let us check out the latest trends in Web Application Development that could inspire you to take a constructive step ahead with your web application development. In short progressive web applications are similar to web applications which can incorporate the functionality and design of mobile apps. 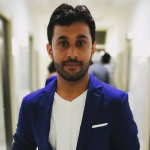 Earlier entrepreneurs and developers were constantly trying to emulate web content features into corresponding mobile applications, PWAs have encouraged the trend to shift reverse way round as well. One most preferred advantage is creating a solid home page impression which has always been an engaging factor for any web application owner. Thanks to its reliability factors PWA are also regarded to be easy to manage as they ease the burden on the server for data issues. This is a very crucial solution for any payment gateway that faces threat of heavy traffic breakdown. Lastly PWA enables you to incorporate mobile application like functionalities and lets you deliver more diverse experiences. Vue.Js made its debut in 2014 and as of yet has developed a good reputation for being one of the most lightweight frameworks. It is also very fast compared to other frameworks. The interesting point to note is that Vue.Js is not backed by any major company unlike React which is backed by facebook and Angular which is backed by google. With its elaborate piece of documentation made available in several languages, especially chinese, Vue made its mark with the creation of the hugely successful platform Alibaba. Besides that Expedia, Nintendo and Gitlab are also amongst a few successful brands that owe to its success. As of 2017 Vue.Js has outclassed facebook’s react in terms of Github popularity and has amassed over 77k stars on the platform. Material Design is a recent popular design trend that has a varied potential in terms of gaining popularity. Material Design is the latest upgrade of a modern, responsive Materialize CSS framework that comes in two forms: Materialize and Saas. It is mostly derived from google’s material design language and lets you exhibit components like Parallax and Toast. On top of that it also exercises a great deal of compatibility with other browsers and contributes towards delivering varied user experience design. As one of the top vue.js application development company, we at BrainMobi keep a constant check on the latest and improved methods implied in the field of web application development. We make sure our efficient and hardworking team of developers are constantly updated with the best industry practices which come crucial when delivering the best in class web applications. If you have the idea for a mobile application or web application, feel free to write to us at sales@brainmobi.com .